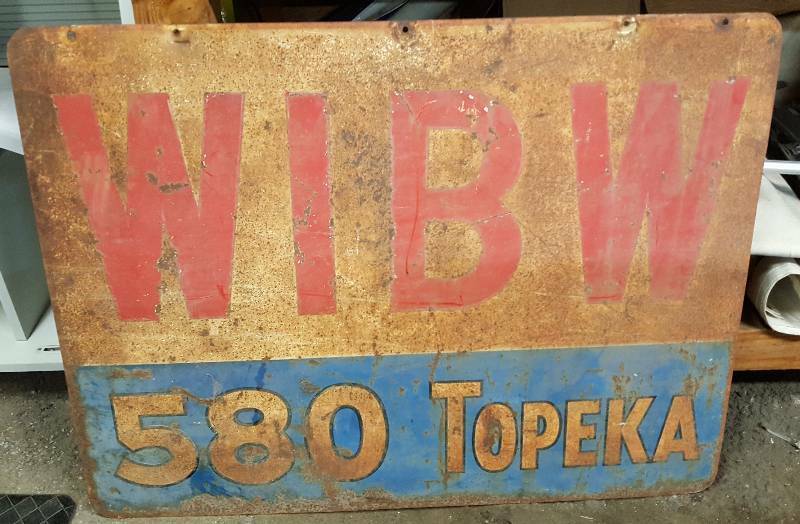 WIBW 580 Topeka Radio Both Sides, all steel and measures 38" wide X 27" tall. 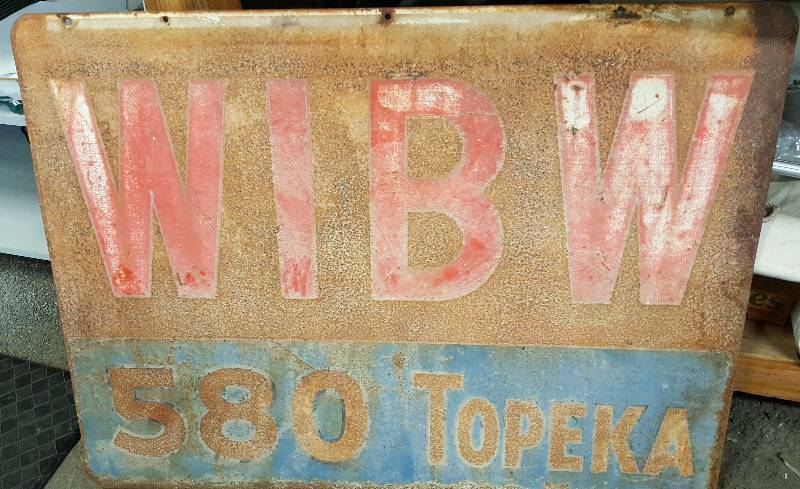 WIBW 580 Topeka Radio Both Sides, all steel and measures 38" wide X 27" tall. Got to be the oldest radio station in Kansas. If you're a collector of signs and got something for the state capitol, don't let this get away. If you're looking for Patina, this has all of it.